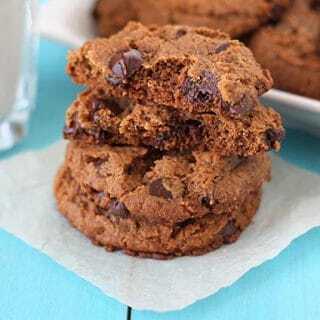 Irresistible, quick, and easy gluten free vegan cookie recipes that will become new favourites. 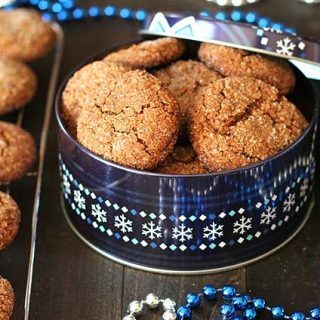 These tried-and-true, delicious cookies will put a smile on the faces of everyone who tries them (and will having them asking for more!). Have you ever met someone who didn’t like homemade cookies? I haven’t. I don’t think someone like that exists. And with good reason, because how can anyone NOT like cookies?! Another tool I use quite often (and it’s not a necessary one, it’s a “nice to have” one), is this cookie scoop. I love it because it makes scooping and dividing your cookie dough quick and easy. All of these gluten free cookies are very simple for anyone to make, but if you’re new to this type of baking, read my tips for successful vegan gluten free baking before getting started so you set yourself up to make some of the best, no-fail, vegan gluten free cookies, ever! 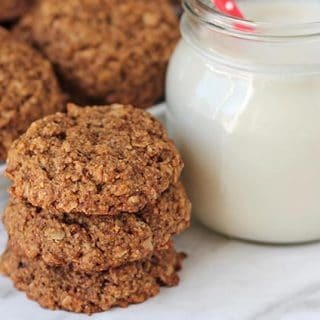 We all need a good oatmeal cookie recipe to turn to, and I have one for you below! 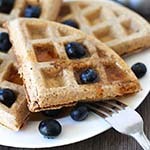 The other cookies are also gluten free oatmeal cookie recipes, but with add-ins to make them unique and even more delicious. 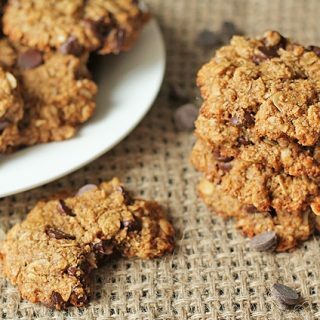 Soft and chewy oatmeal cookies that also happen to be vegan and gluten-free! 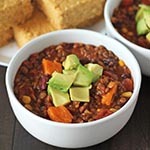 This recipe requires minimal ingredients and you can have them ready to serve in under 30-minutes! 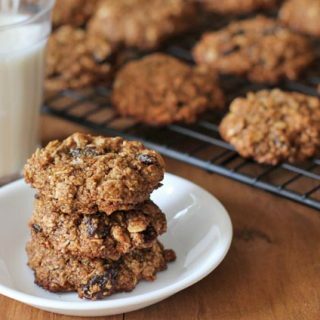 Soft-baked vegan oatmeal raisin cookies loaded with raisins and cinnamon. 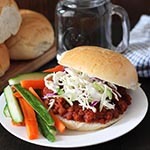 They also happen to be 100% gluten-free and are perfect for snacks and school lunch boxes. 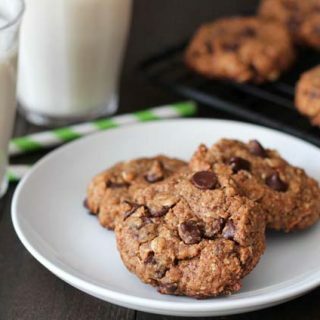 These soft, vegan, gluten free Oatmeal Chocolate Chip Coconut Cookies will satisfy your sweet cravings. Try to eat just one...bet you can't! Nut butter adds richness and great flavour to cookies and the vegan cookies below are no exception. 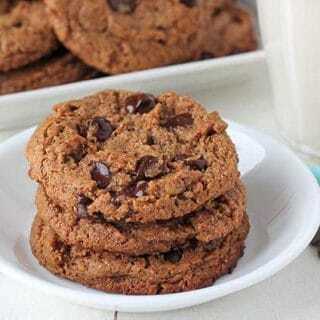 Flourless vegan gluten free peanut butter cookies that are easy to make, require only 7 simple ingredients, and take just 20-minutes from start to finish! 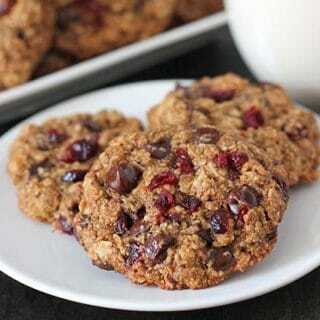 Soft and chewy oatmeal cranberry chocolate chip cookies are easy to make and also happen to be vegan AND gluten-free! These cookies will become a new favourite! As I share new cookie recipes, I’ll be sure to add them to this post so they’re in one handy spot for you, so bookmark this page and keep checking back! If you make any of the cookies in the list above, please, share a pic with me on Instagram! 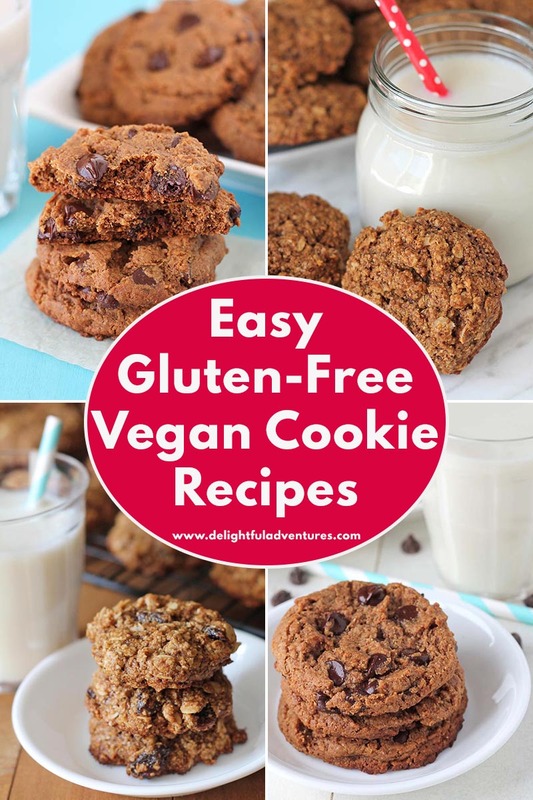 You can also help me to help others find these easy vegan cookie recipes by pinning this post to your recipe board on Pinterest! You can do that by clicking here.